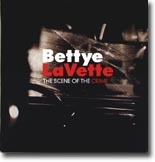 One of our favorite ladies is soul/blues singer Bettye LaVette. Her new one, The Scene of the Crime, is this month's Pick Hit. Most actors that try to play the blues do nothing but embarrass themselves. That's not the case with singer Mason Casey, who lined up a veritable who's who of blues and soul legends for his new CD, Sofa King Badass. This combination of rocked up blues and soul is our Surprise CD. We go back to the early '80s for a look at Robert Cray's first HighTone album, Bad Influence, which introduced Cray to the worldwide blues market and paved the way for his move to a major label and international stardom. Bad Influence is this month's Flashback feature. Our What's New section features new releases from Bobby Rush, Lil' Brian and the Travelers, Stacy Mitchhart, Randy McAllister, Omar Dykes and Jimmie Vaughan's tribute to Jimmy Reed, British blues band 3AM, and more.